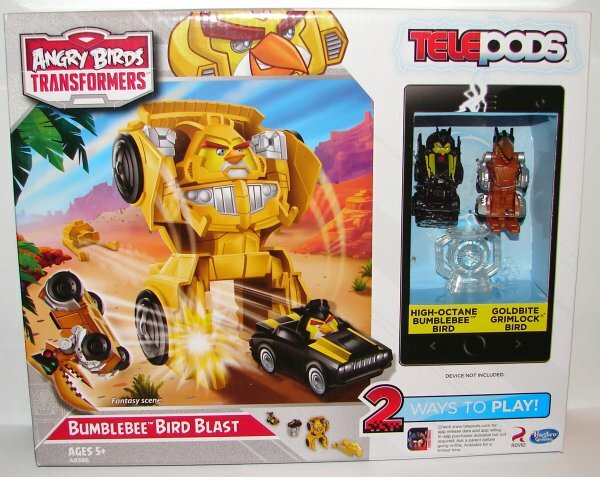 I really hope this is the last Angry Birds Transformers toy. I had to get this one from Australia. With my luck it will actually show up at USA retail. The set consist of a launcher and the obligatory Telepod scanning thing. 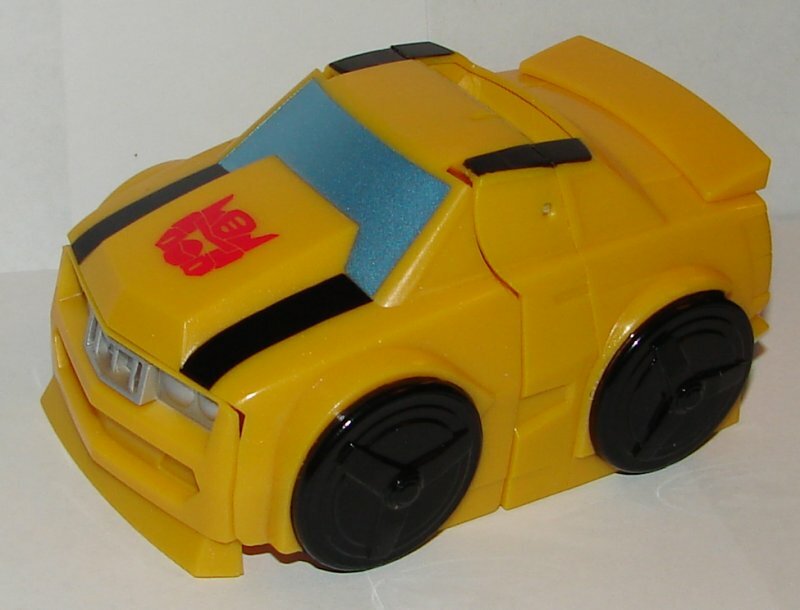 It also has a large Bumblebee car that transforms when something hits the bumper. 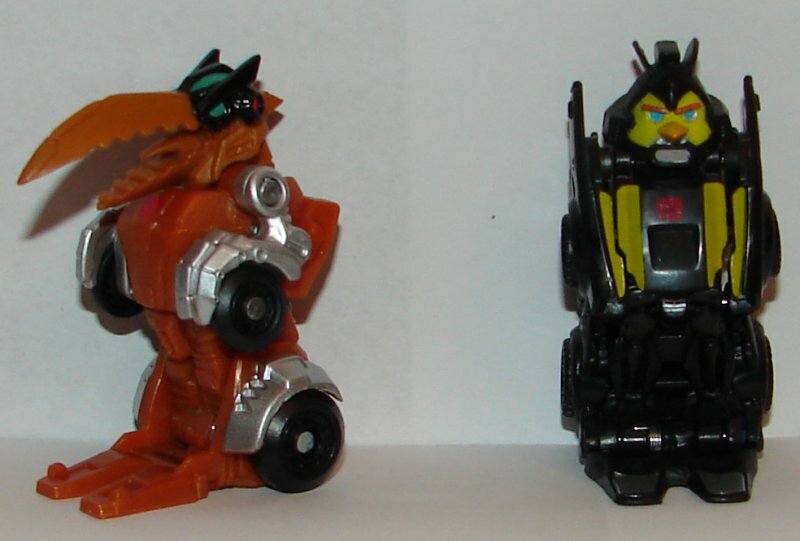 There are also two repaints of previously released Telepods. We have Goldbite Grimlock who has been painted in AOE Grimlock’s toy colors. 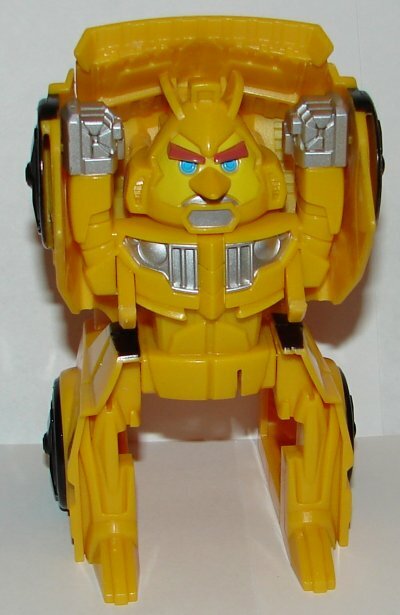 We also have High Octane Bumblebee, another AOE toy. 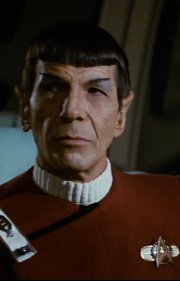 Now, let’s all hope they don’t make any more of this crap. This entry was posted in Toy Reviews, Toys, Transformers and tagged Angry Birds, Angry Birds Transformers, Bumblebee Bird Blast, Toys, Transformers, Transformers Angry Birds. Bookmark the permalink.